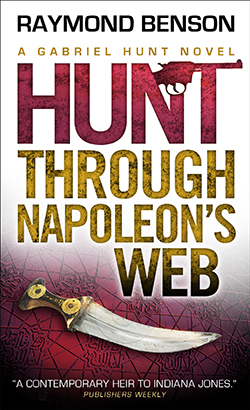 This tale of Gabriel Hunt was penned by RAYMOND BENSON, best-selling author of numerous James Bond novels. Benson also wrote two novels in Tom Clancy’s Splinter Cell series and computer games based on the work of Stephen King and the classic James Bond movie Goldfinger. "An adroit writer...tight, tough, thrilling." "Lots of tension and suspense...a gem."